Crimson Peak is stunning, but what about those loose ends? Crimson Peak kind of melted my brain into a delighted puddle. So instead of hearing me ramble on while using an absurd amount of exclamation points, today Vincent Asaro is bringing his thoughts about the film to you. 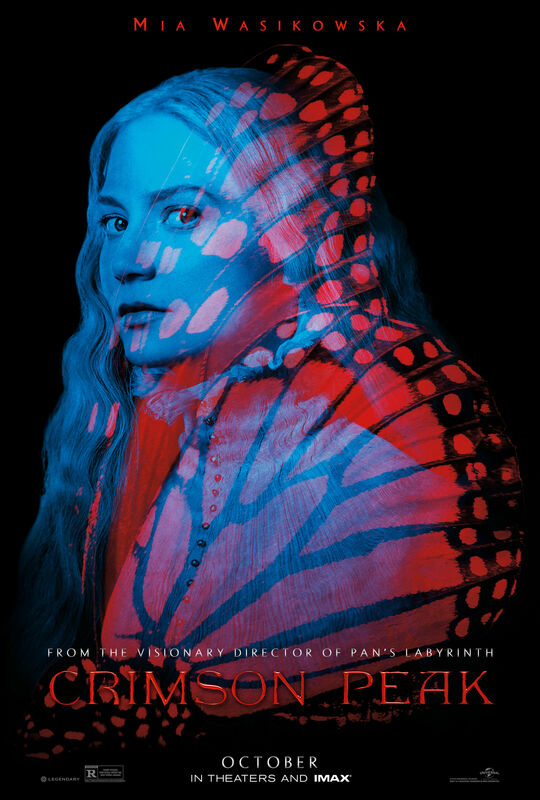 Vincent, is an incredibly talented author, so he brings a particularly literary view to the the story and the narrative of Crimson Peak that I found potentate and poetic. 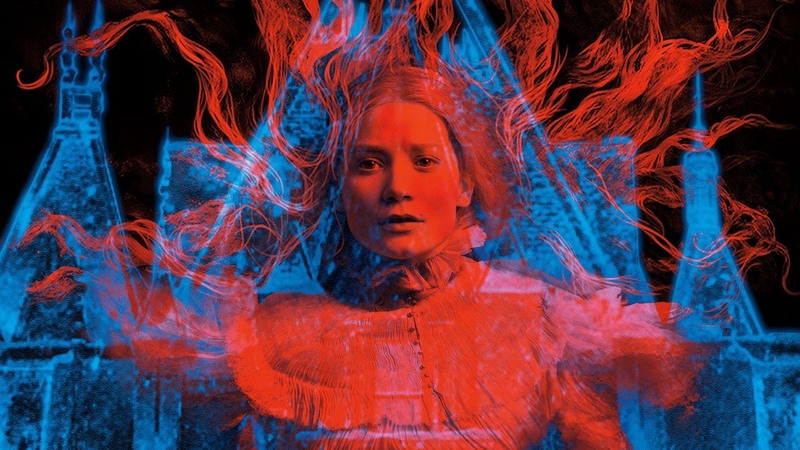 Crimson Peak might be Guillermo Del Toro’s most beautiful film to look at. Saturated in rich color, every frame glows with sumptuous imagery. Del Toro’s camera moves with confident ease, never idle but never drawing attention to itself. The film appears to assemble itself before your eyes, a vast and intricate puzzle manipulated by unseen hands to reveal a hidden picture; pure magic. The physical act of watching this film feels like falling in love, which is Del Toro’s intention. He woos you with sweet bon mots, barrages you with fragrant flowers and irresistible sweets, flatters your eye and stimulates your imagination. In recent years, Del Toro has made it clear that he’s making the films he wants to make for audiences who love what he loves. Del Toro loves monsters, certain genres (unfiltered) such as fantasy and horror, eye “protein” (as opposed to “eye candy”, in this case beautiful images freighted with subtext), repetitive mannerisms that work as an artist’s signature, stories that don’t cater to a standard three-act structure and as he admitted in a recent interview, weirdness for the sake of weirdness. Crimson Peak has all of the above. It would be easy to write a negative review of this film. The problem is that Crimson Peak is not a misfire, like Ridley Scott’s Prometheus (2011), it is the opposite of a misfire. Referring to interviews with Del Toro, it is apparent that he knows precisely what he is doing. Everything in this film is intentional. Del Toro once described H.P. Lovecraft as obsessively honing every line of a story until it was perfect according to a strong internal sense of what is “right” and I think it can be said that Del Toro is doing the same thing with his films. He has often stated that he doesn’t like the American style of genre storytelling where every element is “explained” for the audience. Explanations destroy the magic and the romance of fantasy, in his eyes. I don’t like the term “explained” applied to narrative, although it certainly exists, especially in American fiction; I prefer the term “accounted for” and it is in the space of that hairline fracture that I am always challenged by Del Toro’s films. Anton Chekhov famously stated that if a rifle is shown in Act I then it must be fired in Act III. Del Toro doesn’t agree; and upon first viewing of his films, I am often left dissatisfied with the numerous dangling, loose ends of his narratives. But he knows what he’s doing and why he’s doing it and he is consistent from film to film. What would be weaknesses in an average film becomes a strength for Del Toro. His films are all about falling in love (a theme in every film he’s made, although the love is not always romantic) something you have very little conscious control over. He also likens his films to long, complex relationships. This is what separates him from filmmakers like J.J. Abrams, who sweep you off your feet for two hours but fail to reward you with a long-term relationship. Del Toro’s films continue to stimulate long after the initial viewing; and even if the relationship is difficult, you are still in love. 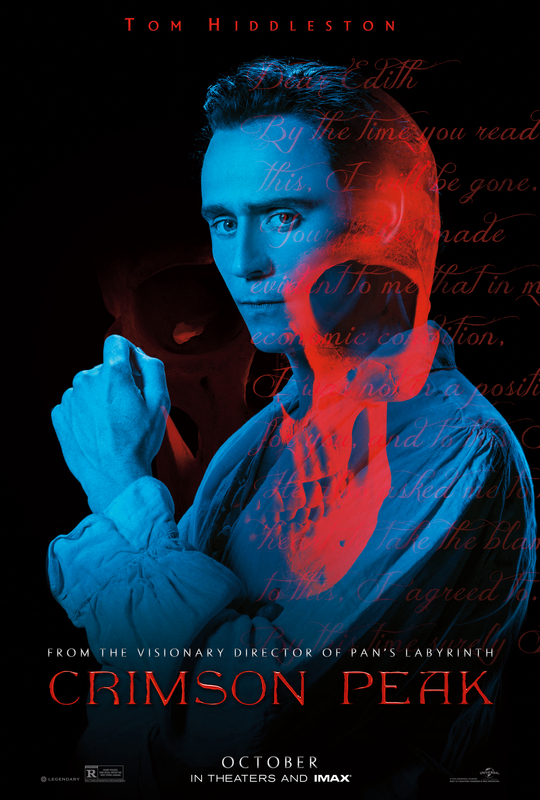 What purpose do the ghosts serve in Crimson Peak? You could say they serve no real narrative purpose. But they serve many purposes if you “need” ghosts in a story, yearn for ghosts, love the idea of ghosts. There are loose ends everywhere but it is all by design. What makes all of this work is that Del Toro doesn’t give you choices: either love the film blindly or dissect it as you would an airtight murder mystery or hard science-fiction story. He invites you to do both and whatever else you want to do. His films are sprawling sensory love letters that fly in the face of hard-set narrative conventions. Like Mia Wasikowska’s character, Edith, we enter Crimson Peak of our own accord, even though we’ve been warned. What happens next can be viewed as either a mistake or a journey. I prefer to look at it as a journey; but not every journey follows a pattern, another pet peeve Del Toro has with standard narrative structures. This is a film for people who will love it. That is the opposite of the Hollywood mindset of making films that the audience will love. There is no cold calculation here. The audience has all the agency of a dreamer caught up in a dream. The empowerment of conventional entertainment has been taken from us. But I often feel trapped by that empowerment. There is something stifling about being relentlessly entertained according to your demographic; something queasy about always being catered to. That is what makes Del Toro special. He doesn’t seduce his audience, he genuinely wants them to fall in love, to dream along with him. Yet he knows that love is never secure and dreams are not always pleasant. Crimson Peak is the antithesis of a Hollywood movie, where satisfaction is guaranteed. On the one side you have a sturdy bridge leading to a place you’ve been many times before; on the other there is a chasm and a leap of faith into the unknown. 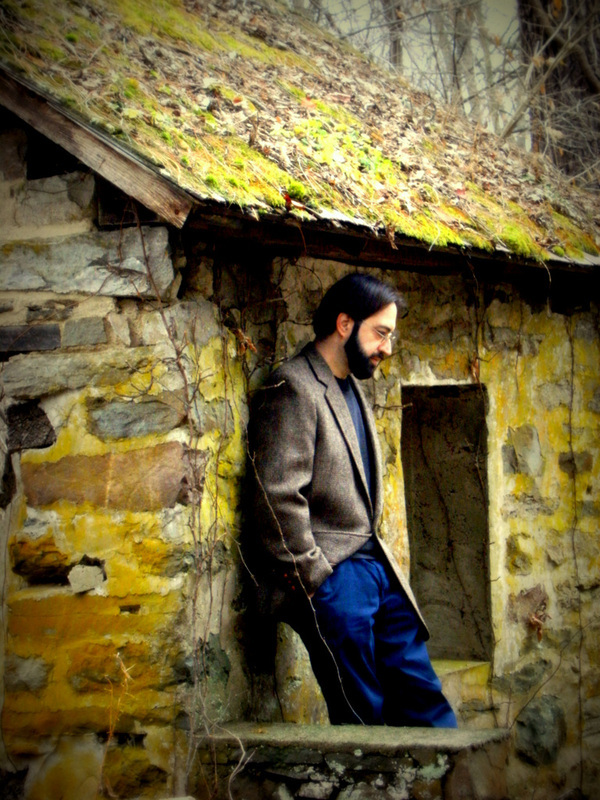 Vincent Asaro is the author of Carrot Field, an epic fantasy novel and Something In the Dark, a collection of original short stories of horror, suspense, the macabre and dark fantasy. He is presently at work on Carrot Field 2 & 3. He makes his home in the mountains of Pennsylvania.